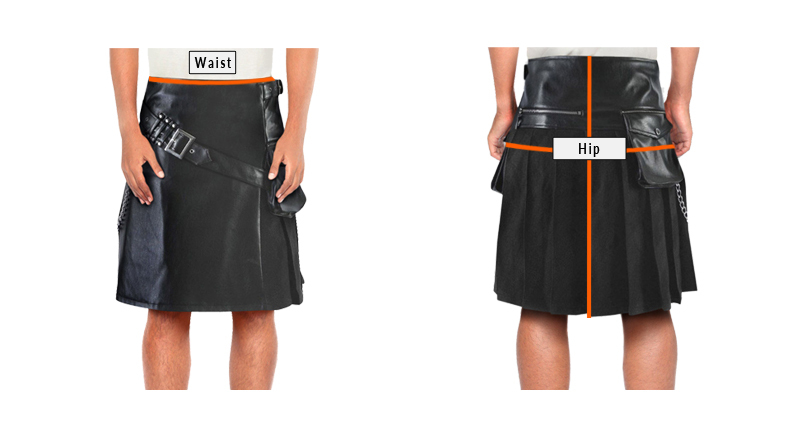 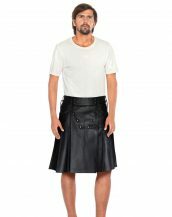 Scotland kilt are the epitome of tradition and now you can wear it with a contemporary leather twist. 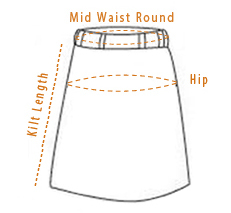 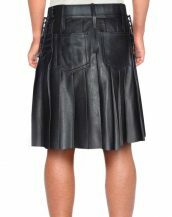 Custom made with pleats all over the front and back you will certainly look effortlessly stylish. 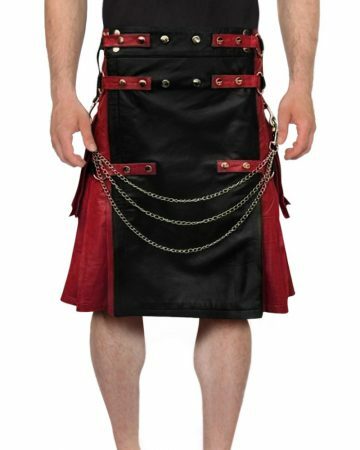 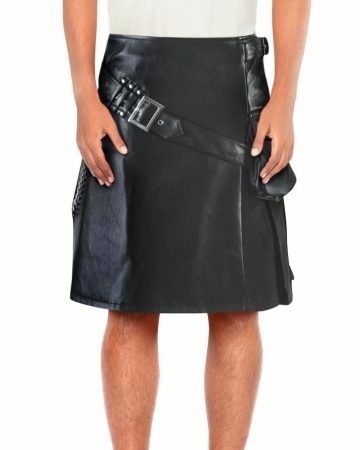 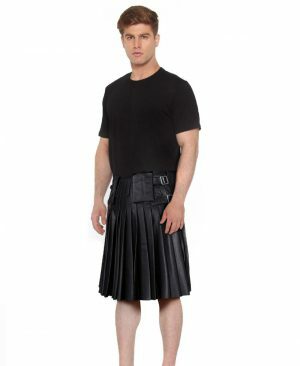 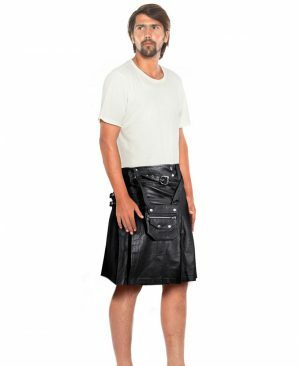 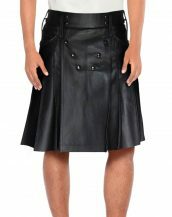 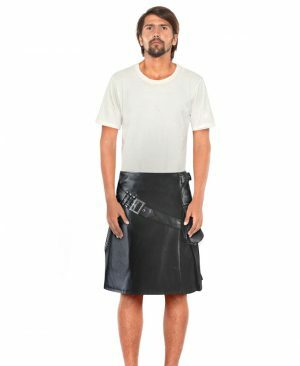 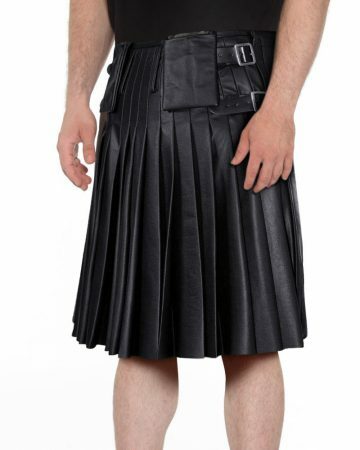 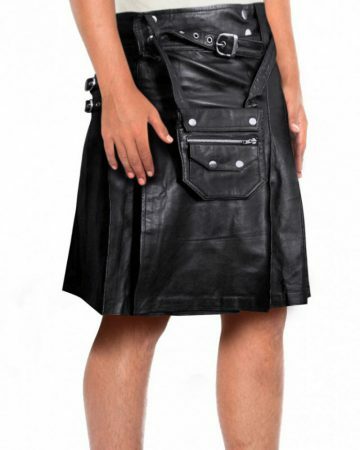 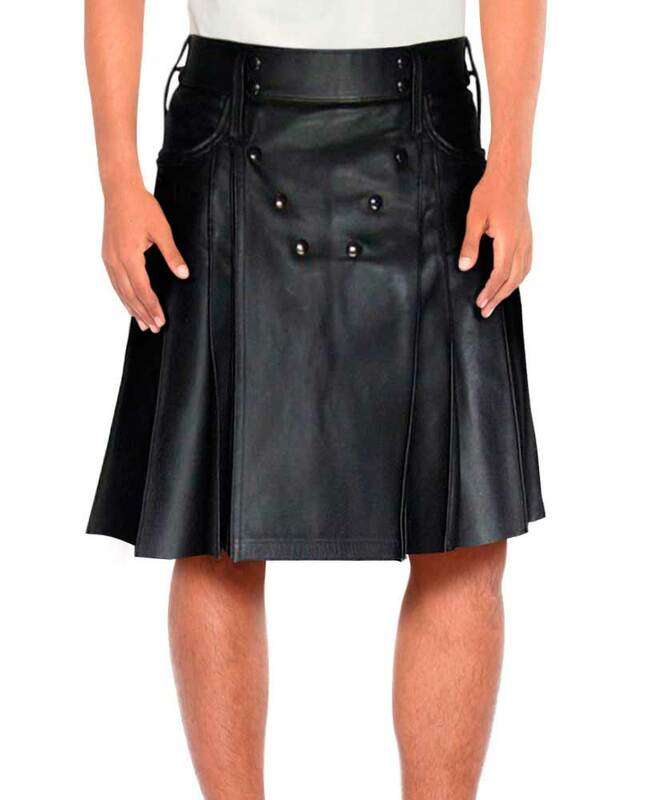 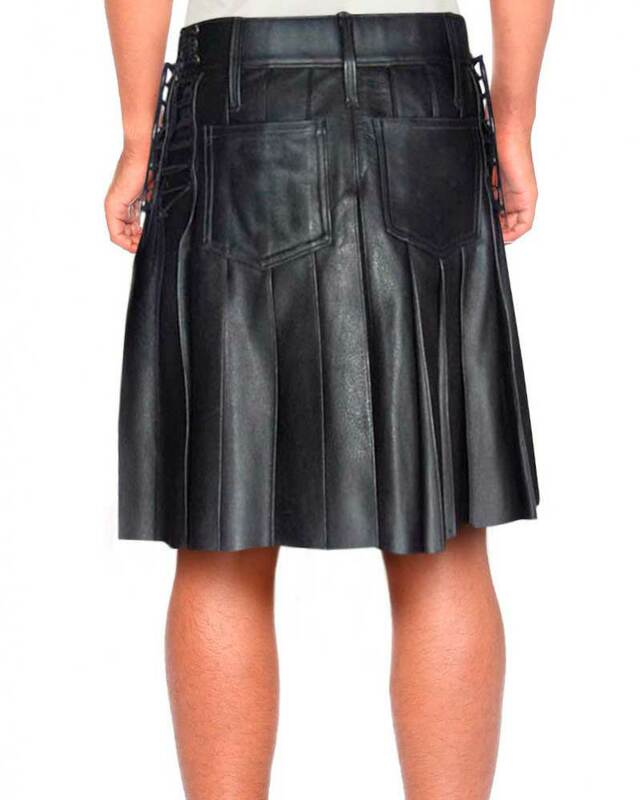 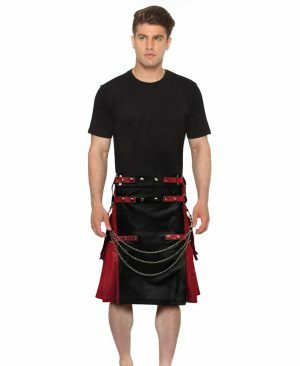 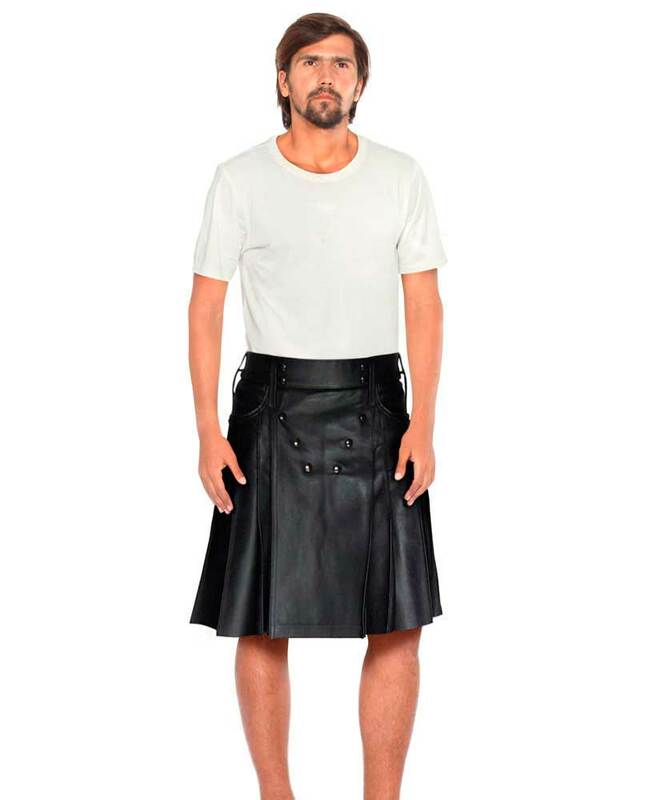 These comfortable kilts are crafted from lambskin leather, featuring button embellishments on the front, lace up side panels and flap pockets on the reverse keep the look as authentic as you’d wish for.